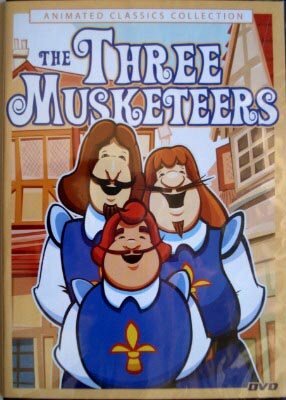 The animated version of Alexandre Dumas' classic novel tells the story of the musketeers: D'Artagnon, Athos, Porthos and Aramis. The musketeers are the private guard to the king of France, Louis XIII. The monstrous Cardinal Richelieu (The head of the French church) is trying to seize power from the king, and so he concocts a scheme to expose the queen's alleged affair. It will be up to D'Artagnon, Porthos, Athos, and Aramis to aid the queen and ensure the king remains in power. The odds are stacked against the Musketeers as they take on the Cardinals own private army of thieves, scoundrels, and murderers.